This appreciation plaque is a unique way to convey thanks for dedicated service. 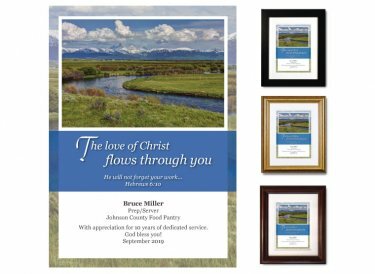 You'll customize it with the recipient's name, job title, and the name of your church or organization - as well as your special sentiment. Image depicts the lush greens of springtime in Idaho's Teton Valley.